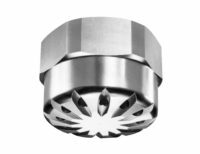 With a mist spray nozzle, efficient cooling is within easy reach. From the livestock industry to the management of heavy infrastructure, cooling and environment control, maintaining an appropriate temperature even when the ambient heat rises to sweltering level is critically important. The proper fogging nozzle system can provide fast and effective cooling; however, the correct nozzle system can vary substantially between applications. How can you ensure that your operation has access to the appropriate cooling nozzle for any given job? At Spray Nozzle Engineering, we make answering that question easy. 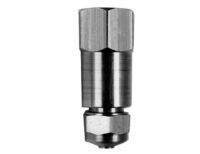 Selecting the correct nozzle is critical to nozzle droplet size, it’s important to take care in selecting products that align with operational requirements. At times, choosing an “off the shelf” solution that meets those needs can be challenging. As you explore options for the appropriate mist spray nozzle, keep the following tips in mind to get the most from your investment. Choose products designed for maximum convenience, not only during installation but also in operation and even cleaning. It is worth thinking about each stage of a part’s lifespan and planning accordingly for longevity. Nozzles that produce consistent droplet size could be a pressure atomising or air atomising design. Select solutions that enable a quick return to maximum efficiency to minimise downtime as much as possible, by choosing a partner that streamlines the process of part selection and shipment. Explore the potential for unique solutions for particularly challenging scenarios. Engineering and manufacturing experience are a must-have when you desire a supplier equipped for difficult problem-solving. 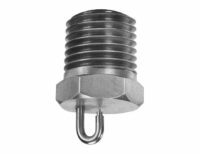 From nozzle size, type and material of construction that meets the operational environment. Bearding. 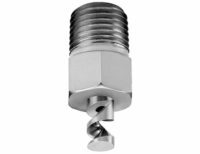 A common problem for many types of spray nozzles, bearding occurs when a build-up develops due to continuous operation. While misting nozzles are less prone to these problems, minerals in water can still cause build-up. Blockage: several low clog misting nozzles are available. Inadequate pressure for spraying. 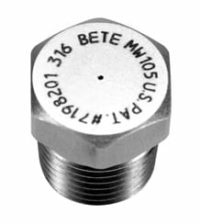 More efficient nozzles can allow you to place less strain on a compressed air or pump system, allowing for longer spray duration and fewer problems with supply. Excessive water consumption. Looking to investigate ways to save on how much water your operation uses, both for budgetary and environmental purposes? Ask us about a mist spray nozzle that can achieve better results in this area. 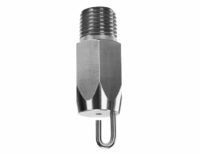 Spray Nozzle Engineering is the ideal choice for a supplier in this area for many reasons — not least of which is our ability to deliver a cost-effective mist nozzle ideally suited to your use case. With the ability to tap into leading products in brands such as BETE, engineering the right solution for cooling livestock, equipment, and more is now a hassle-free process. 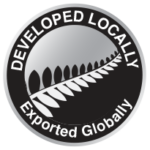 Explore our products now, or reach out to the team for friendly advice on how to make a selection.